Light-Weight, Big Capacity Lithium-ion Power Station: 11 lbs. with 346Wh and 300W continuous (600W surge max) with 93600mAh Battery capacity. 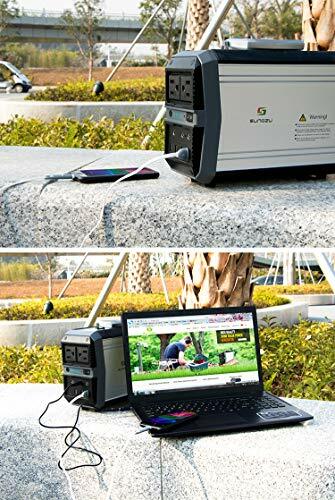 EASILY RECHARGEABLE VIA THE SUN OR WALL: 1)This solar generator can be recharged from the sun with any compatible 40W to 100W solar panel (SOLD SEPARATELY). 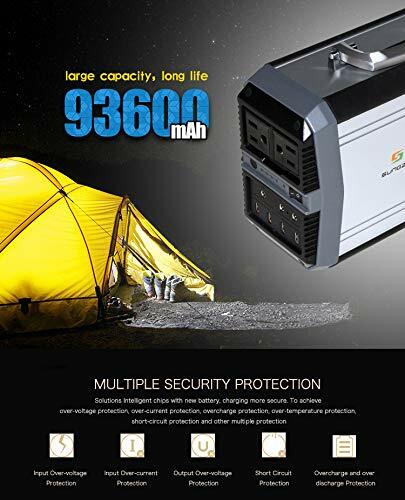 2) This battery pack can be fully charged in 5.5 to 7 hours by being plugged into the wall outlet. 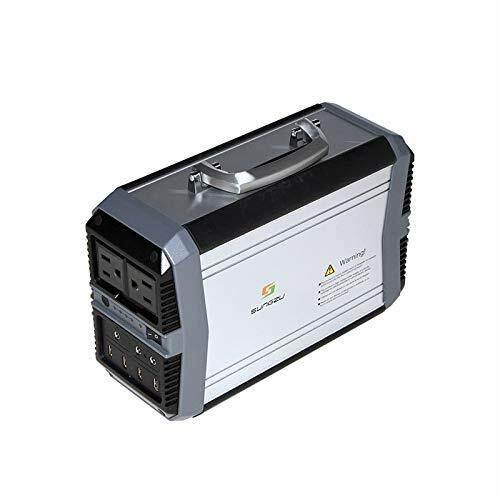 VERSATILE DC OUTPUT: 2 DC ports support 12V/6-8A output; also has an attachment for 12V/8A car port to power up your in-car devices when you’re not around your car; 18 month product warranty. 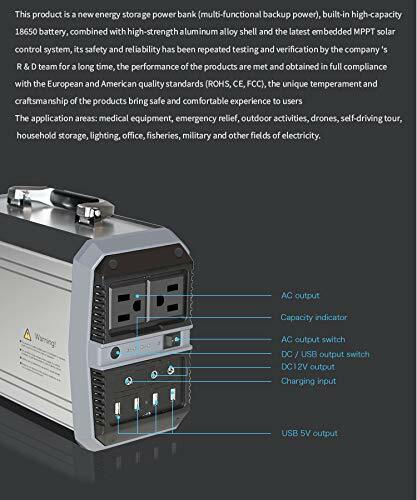 UNINTERRUPTIBLE POWER SUPPLY: This Power station will power your critical devices while charging, when the power goes out, your devices continue to work.